If you are looking for adventure, the town of Helen is for you. Helen is located just north of Cleveland and is part of White county. Once you step into Helen you will feel like you are in a quaint Bavarian Village nestled in the beautiful north Georgia Mountains. Helen has hiking, fishing, tubing down the Chattahoochee, and horse and buggy rides through town. Helen is also home to some great wineries and vineyards. If you are interested in wine tasting, the local wineries, including Habersham Winery, have some of the best wine around. The prospective Helen home buyer will have diversified Helen properties to choose from. Rustic, isolated cabins are among the Helen, GA homes offered. 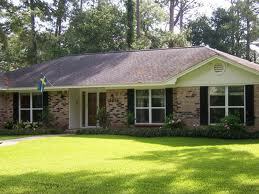 At the same time, the Helen home buyer can look at beautiful new homes in master planned communities in the area. Among Helen properties are developed lots ready for your dream home. Luxurious mountain estates offer impressive views and cooler mountain temperatures in the summer. Meanwhile, Helen homes for sale right in town typically feature the red tile roofs that are inherent in Bavarian-style architecture. About 500 residents call this White County community on the Chattahoochee River their home. White County is in fact known as the "Gateway to the Mountains." The real estate in Helen reflects that. Mountain retreats, log cabins, and even golf course properties will all excite one looking at Helen homes. Helen wasn't always a Bavarian village. 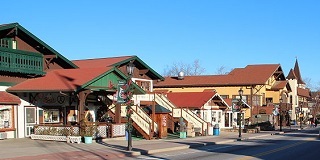 Community leaders decided to cope with the declining logging industry by reinventing Helen as a tourist spot -- fashioning the town into an Appalachian homage to a town in the German Alps. In 1969, the town mandated that all structures incorporate this Bavarian theme. As a result, even the Wendy's restaurant in town has Bavarian elements in its architecture. Today, Helen is unmistakeable as visitors approach the community on winding roads. The red tile roofs of Helen real estate invoke the Bavarian heritage that Helen's leaders decided to embrace decades ago. Helen residents enjoy regular escapes to Unicoi State Park. This scenic getaway up in the mountains offers numerous hiking trails and even a mountain biking trail. One trail for hikers and strollers winds its way around the lake.The Appalachian Trail starts right in nearby Cleveland. Some will love plying the whitewater rapids in their kayaks. Others will love tubing and canoeing. Area residents can even go zip-lining. The Chattahoochee National Forest is only a short drive away. Anna Ruby Falls is beautifully situated in the mountains above Helen. Intrepid photographers will not leave disappointed. A half-mile paved trail up to the falls gets a bit steep in places, but it can still be navigated by the young hiker and the older one as well. Along the way up to the main falls the creek dances down over the rocks, creating smaller but still dazzling waterfalls. White County may be the "Gateway to the Mountains," but it is also home to numerous wineries. The soil has been compared to the type that produces the wonderful Italian wines emanating from that country's Piedmont region. If you are a creative person Sautee-Nacoochee, just east of Helen, is for you. There are art galleries, music, theater, and beautiful views to get your creativity flowing. Helen hosts many events and festivals every year. Every summer, the Helen to Atlantic Ballon Classic an annual tradition, and the only is long distance hot-air balloon race in the U.S. In October, many visitors that are in the area to enjoy the fall foliage participate in Helen's Oktoberfest, a natural outgrowth of the embrace of the Bavarian culture here. Oktoberfest is a 16-day festival that has been held in Helen for over forty years. If you are looking for a place where relaxation meets fun and convenient then come to White County and let VIP Realty introduce you to true southern hospitality. Call VIP Realty, 706-219-1931, before you start out. Thanks to the community’s historic charm, affordable home prices and high quality of life, there’s never been a better time to become a Helen home buyer than right now.